Over his twenty-plus year tenure in Hollywood, Spike Lee has produced a number of controversial films that unapologetically confront sensitive social issues, particularly those of race relations and discrimination. Through his honest portrayals of life's social obstacles, he challenges the public to reflect on the world's problems and divisions. The innovative director created a name for himself with feature films such as Do the Right Thing (1989) and Malcolm X (1992), and with documentaries such as 4 Little Girls (1997) and When the Levees Broke (2006), breaking with Hollywood's reliance on cultural stereotypes to portray African Americans in a more realistic light. The director continues to produce poignant films that address some of modern society's most important historical movements and events. 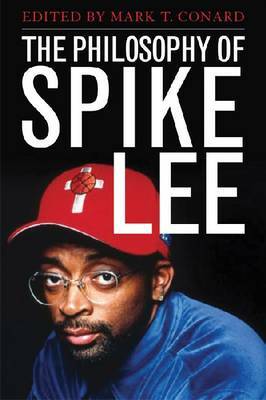 In The Philosophy of Spike Lee, editor Mark T. Conard and an impressive list of contributors delve into the rich philosophy behind this filmmaker's extensive work. Not only do they analyse the major themes of race and discrimination that permeate Lee's productions, but also examine other philosophical ideas that are found in his films, ideas such as the nature of time, transcendence, moral motivation, self-constitution, and justice. The authors specialise in a variety of academic disciplines that range from African American Studies to literary and cultural criticism and Philosophy.